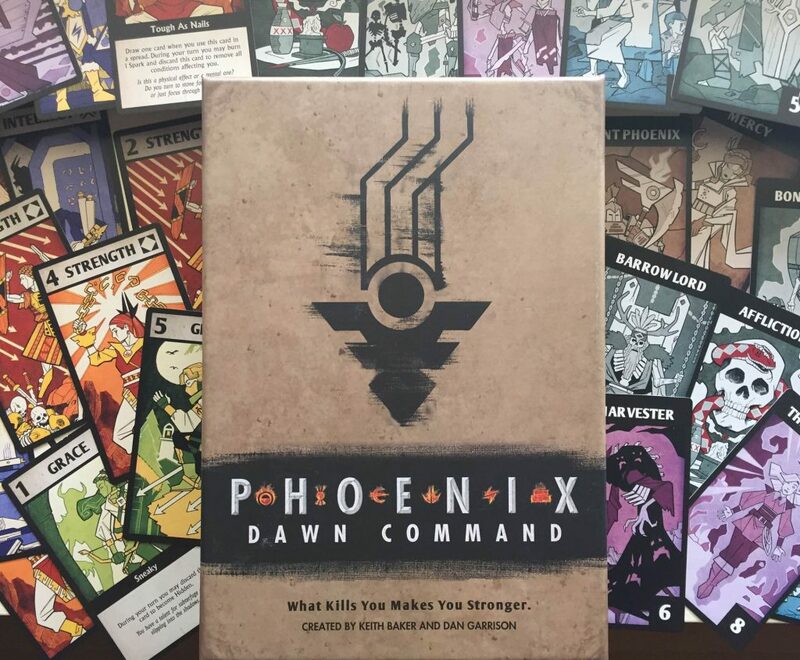 This entry was posted in Gaming Features, Phoenix: Dawn Command, Uncategorized and tagged Phoenix, phoenix dawn command by Keith Baker. Bookmark the permalink. Hello Keith, and thank you for taking the time to answer questions, it’s an excellent way to make people interested in a game. I’m curious about the “classes” if the different archetypes can be called that. Could you explain the different types of Phoenixes briefly and why they have their unique abilities? 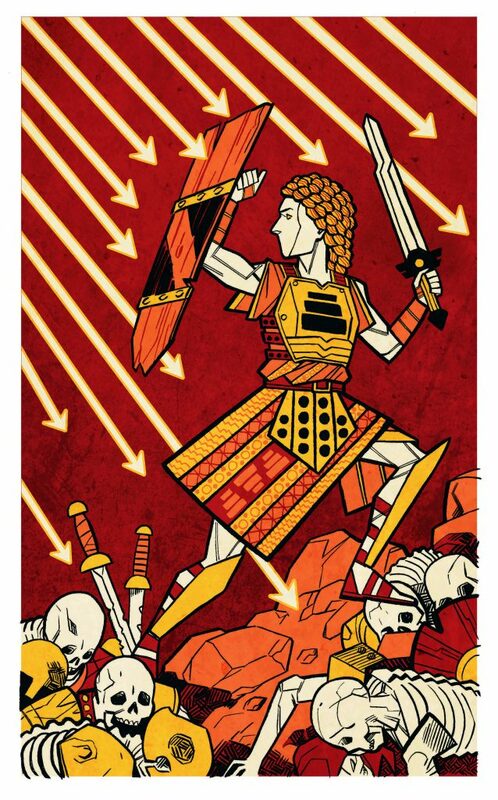 Did certain types of death suggest certain abilities or Phoenix paths, like how the Devoted is kind of a tank because they died protecting someone/thing? Excellent question! I just added an answer to the end of the main post. I am dying to play this game. The KS was right at a time when I got hit by financial issue after another, sadly, but I plan on buying a copy soon. I love the whole death concept, especially as death is a big thing I’m trying to tackle in my own game. Can’t wait to see your thoughts on Phoenix in Eberron! I recently thought of a new approach I’m interested in trying myself. I’ll likely post about it early in November. Sweet! My Eberron campaign has been on hold for over a month, so I’m eager for a fix! I recall seeing that Phoenixes are limited in their resurrections by ancient pacts. Is that a limit they impose on themselves or the best they could negotiate for from the source of the power? If the former, when things have gone, perhaps literally, to hell why would they continue to limit themselves? If the latter, does that imply that there was the possibility of more lives that could have been on offer? And if the source is capable of more, are there some sorts of limitations that prevent them from raising the number of lives? Does anyone in setting try to cultivate Phoenixes? I doubt you can manufacture them, and by killing the best you are likely to just deprive yourself of their help rather than getting them returned with supernatural aid. But what about mindsets which emphasize self-sacrifice with the goal of maybe becoming a returned hero as part of a broader system of civic behavior or something along those lines? Dawn Command doesn’t know the origins of the Phoenixes, the power that creates them, or the precise limitations of their powers. Potential Phoenixes don’t bargain for their powers; they are put through trials and tests, that both prove they deserve the power and teach them how to wield it. Each Phoenixes has a mentor who provides guidance, but the mentor (the spirit of a former Phoenix) doesn’t choose whether the potential Phoenix passes the trials. So Phoenixes have no direct contact with the source of the power, beyond the trials that are presented to them. Tied to this: Phoenixes don’t automatically come back seven times. Each time a Phoenix dies they go through trials again. It’s entirely possible for a Phoenix to only come back once and to simply lack the conviction to return again. We assume that player characters WILL make it through all the trials, but it’s something that player and GM will generally talk through as an interlude, addressing challenges the PC faced, their interactions with their mentor, and what gave them the strength to return. With that said, the answers to these questions are covered in Chapter 5 of the Marshal’s Manual, specifically page 165. PCs can potentially learn these answers over the course of a campaign (though I’ll note that they *aren’t* resolved in the Dark Omens mission path). Does anyone in setting try to cultivate Phoenixes? They did in the past. During the Phoenix Imperium they established the Dawn Codex which encouraged paths of behavior designed to increase the odds of someone becoming a Phoenix. This was removed from the Imperial Philosophies following the civil war that brought the Phoenix Imperium to an end, but there are still some who follow it. But the short form is that following the civil war Phoenixes stopped returning. Prior to the Dread, it had been over two hundred and fifty years since a new Phoenix had been reborn, and the people of the modern age largely believe that they are just legends. Part of the story of a Phoenix campaign is how the players interact with the people and the forces of the Empire — if they seek to restore faith in the Phoenixes and establish ties with the Empire, or if they simply operate independently.